Upgrade to add my Lunar Conception Program at a very special price to get the complete experience of syncing your cycle with the moon! In 15 minutes I’ll guide you to connect the moon with your womb and your four goddess energies, especially for conception. 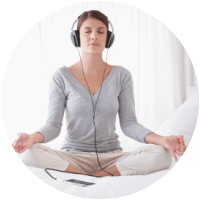 Just listen before bed and let the meditation work its magic.